"I'm not sure, but the cute sales person says this looks great on me, so it must." Or "The cute sales person didn't say anything, I like it, but maybe it's not right." But what is the "inner eye"? We all have it. But it does take some conscious effort to clear the static of outside influences. Think about three outfits that you've worn and that you felt great in. Ask yourself why. Is it color? Style? Fit? Do a quick search through magazines or online and save photos of clothing items that reflect the qualities that suit you best. Take these with you the next time you go shopping. It's a bit of extra work to begin with, but it will save time and give you focus when shopping. And with all the distracting choices now, developing your inner eye and having focus are great tools to arm yourself with at the stores and online shopping. The Flair article follows. It's got quaint and old-fashioned writing, but it's a good reminder that we can rely on our own eye and feelings when shopping. And it helps to have a trusted friend to shop with to remind you of that and even be the best of your eyes for you. You are a lucky person if you can count even one friend like that! 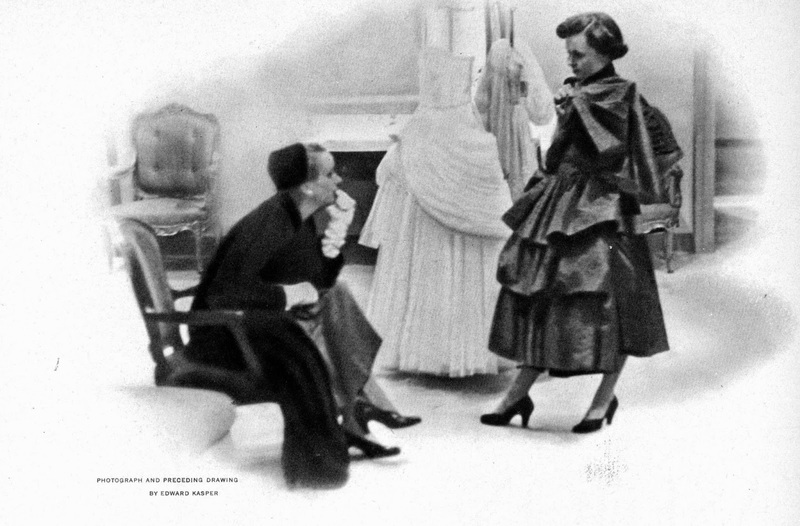 You will find her, the brooding and uncertain woman opposite, wherever a dress may be bought. The scene might the Place Vendôme, a New York store, a small-town dress shop. Maybe she hasn't even bothered to ask the price; or she might have scrimped for months to allow herself this one purchase, Whoever she may be, whatever her purse, she is a soul in misery - a fact the men in her life would never suspect. Probably she could not tell them why. The unwelcome presence of other customers may have contributed. 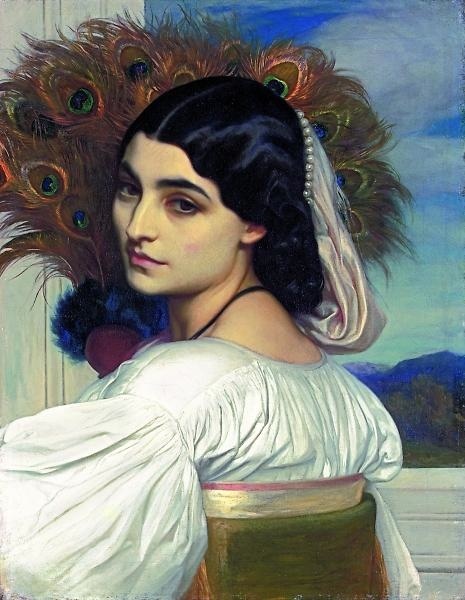 The most casual glance she interprets as a hard scrutiny, and her pleasant suit suddenly appears faded, worn. The sales girl may have held up one dress too insistently and aroused the cringing suspicion that some impossible thing is being palmed off on an easy victim. Or, worse mischance of all, this unhappy woman may have faced the mirror and found in it sly depths an unfamiliar reflection, so that every secret doubt she has ever had as to her looks and desirability now furiously possesses her. At last she has decided; she is free to lift herself from her chair. How could she be so uncertain, so confused? Yet often she has reached the street before she regains her normal self-possession and sees, sees with her own eyes, again. What causes this temporary blindness? Not too little; perhaps too much. Ironically, as far as American women are concerned, this symptom of insecurity may be all the greater because fashion has never given them a wider choice nor made the work of the finest designers available to so many. The public is familiar as never before with significant trends and important names in fashion - a result highly praiseworthy in all respects but one. Fashion has ceased to be personal. In choosing a dress, the American woman is aware of many eyes upon her, and in turn she tries to judge what is before her by every high standard she knows...except her own. 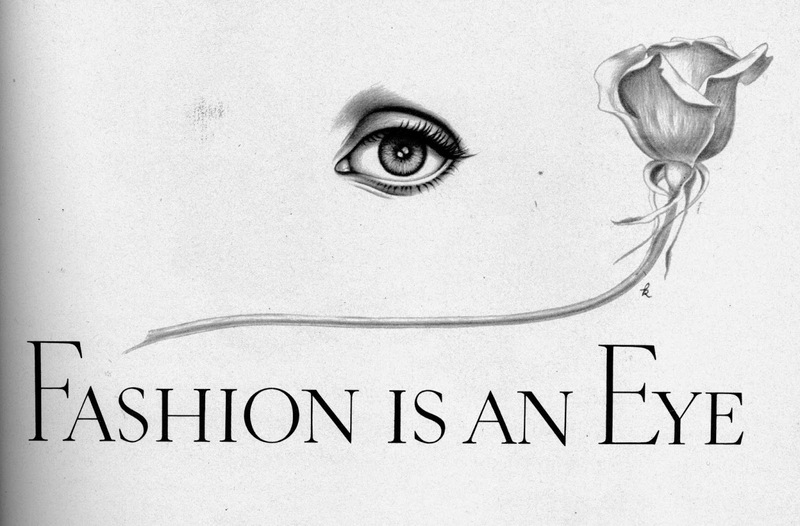 Fashion is an eye. Every woman's eye. Your eye. And inevitably, fashion begins with the inner eye, with self-awareness, with understanding of all your powers, physical, mental, spiritual. It must calmly estimate all that you may claim as potentials for beauty. It demands the fullest expression of your own nature. It insists that you absorb the influences, the knowledges, the disciplines that will be permanently useful to you. It gives mature direction to the outer eye, guiding it to those possessions that are rightfully yours. It forbids you from seeking refuge in those eccentricities of taste that reveal an insecurity far more destructive than the most slavish acceptance of the usual arbitrary norms. It allows you to contemplate the fashions that Flair will report for you, to claim only those that are your own. Serene and sure, your eye will no longer waver from the image of beauty you have set for yourself. You will then be free to communicate your gaiety, your warmth, your self-confidence.